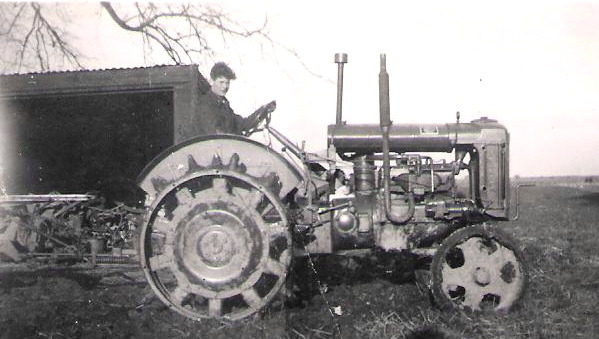 This is Ted Neal (1928-1979) on his tractor in Lutton Marsh. It was the first tractor on this farm. The photo was taken sometime between 1949 and 1951. I remember Ted very well. My mother, Marjorie Ragsdell used to help with the strawberry and potato harvests. I too, from the tender age of about 8 would help out with the potato harvest on Saturday mornings, starting by 'helping' Mum in her row and eventually, by the age of about 12, graduating to manning my own row. I have such fond memories of George, Mabel and Ted from those long ago days.